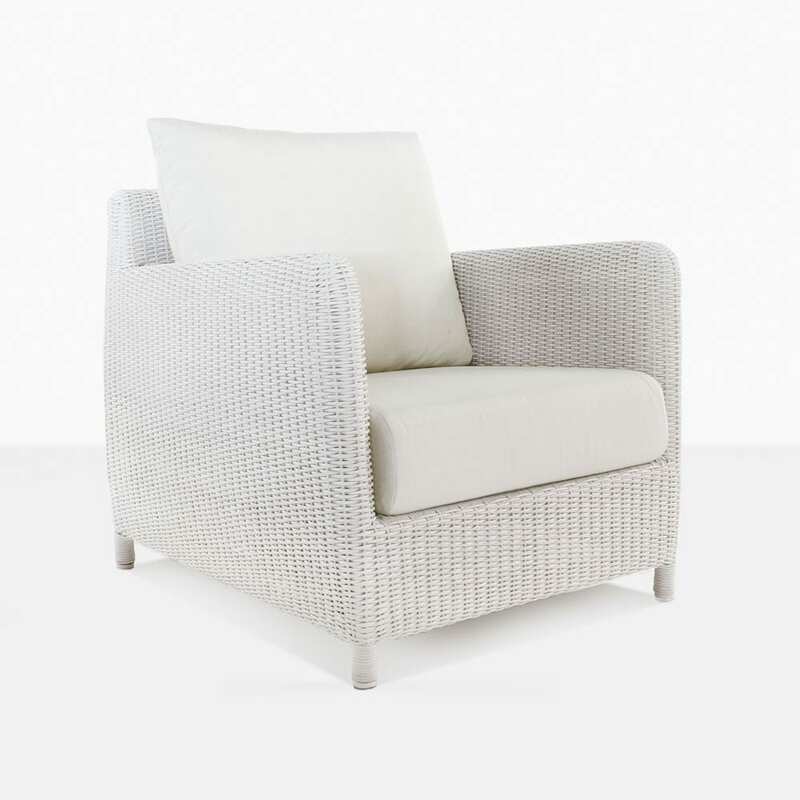 The Valhalla Wicker Club Chair in an elegant white weave has all the elements of a classic outdoor wicker chair with the added bonus of an updated look, more comfortable deep seat and amazing quality. 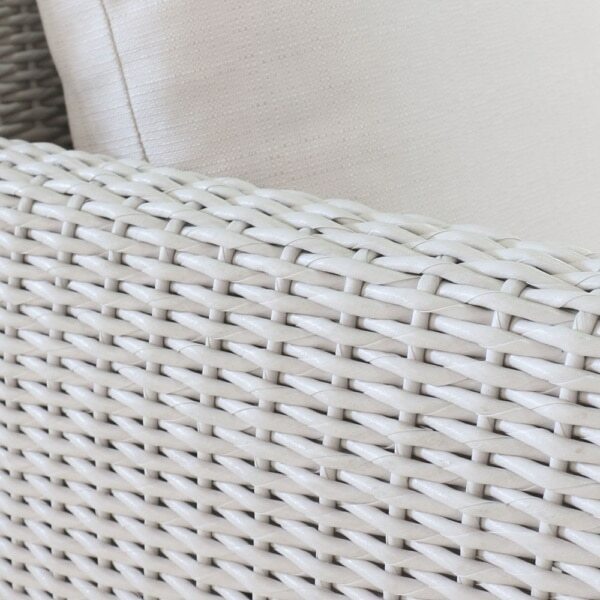 The outdoor wicker weave is beautiful in a soft and creamy white. The up close image really shows the amazing design of the weave and the premium quality with which it was made. The frame is a strong powder-coated aluminum that is perfect for outdoor use. The Valhalla Club Chair is topped with a firm yet comfy seat cushion and a lovely back cushion with just the right amount of comfort so you can relax and enjoy your outdoor space. 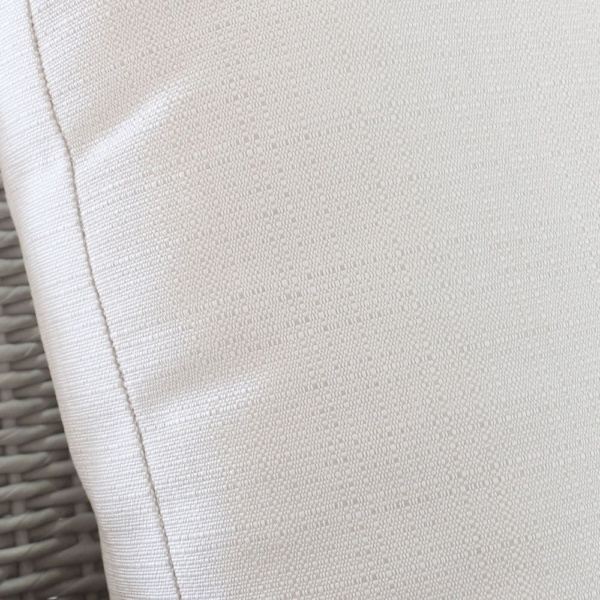 These Sunbrella® cushions are included with the chair. Enjoy a the Valhalla Club Chair on your patio, deck or garden. The style is chic and modern yet has the look of a classic wicker chair that we all love. Teak Warehouse has an amazing collection of outdoor furniture. We have everything from a-grade teak to concrete to wicker. 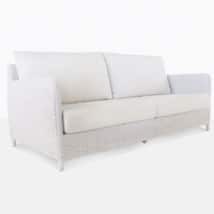 Everything always arrives fully assembled and can be picked up or delivered. Enjoy shopping our extensive online catalog and if you have any questions don’t hesitate to call us. Our sales staff with personally answer the phone.